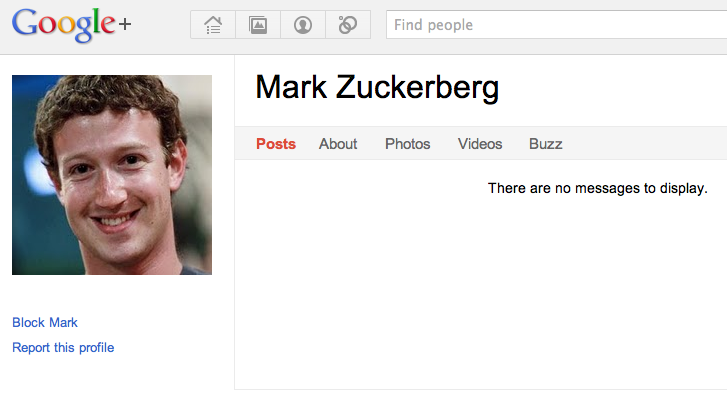 Mark Zuckerberg has closed off his Google+ account to the public. Google+ users can no longer see who the Facebook founder has included in his Google+ circles, Google+’s answer to Facebook friends lists. Zuckerberg’s profile looks positively barren now compared to just a few days ago, when the social media tycoon made waves by becoming Google+’s most popular member — topping Google’s own Larry Page. According to Social Statistics, Zuckerberg amassed over 134,000 followers before deciding to ramp up the privacy settings on his profile. Zuckerberg wasn’t alone in closing off his profile. Google execs (including Matt Cutts, Larry Page, Sergey Brin, Vic Gundotra and Marissa Mayer) have taken similar measures to make their profiles private. It’s not clear if Zuckerberg found his fame on Google+ to be overwhelming, or if he felt insecure in a social network that he doesn’t control . Either way, he looks much happier to be out of the limelight. 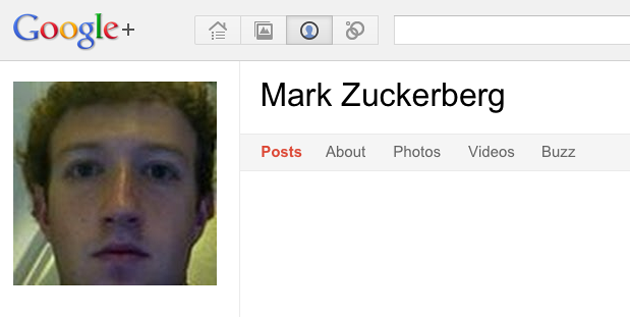 See below for a look at Zuckerberg’s original Google+ profile picture. Is Zuckerberg’s move hypocritical or just a good business move?